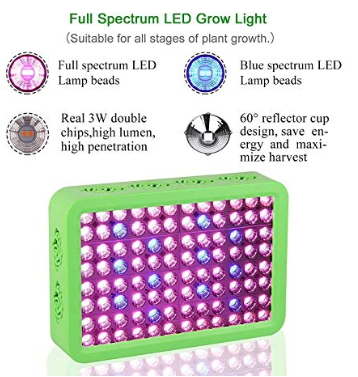 Newest Spectrum Ratio Design - 96pcs full spectrum & 12pcs blue brand LEDs, full spectrum LEDs: 400nm-780nm, blue LEDs: 450nm; This design can ensure the most useful spectrum for plants growing in all stage and the blue spectrum can maximum the speed of leaves growing. 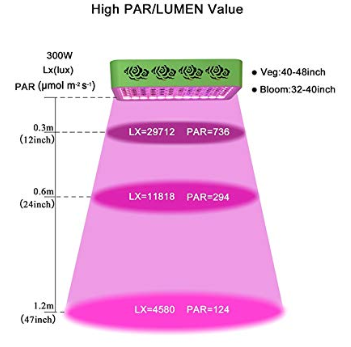 Upgraded Double Chips - well built with double chips, which are much efficient than traditional 3W and 5W single chip, ensures the highest PAR/Lumen output per leds, this grow lights can provide the optimal energy for plants photosynthesis. 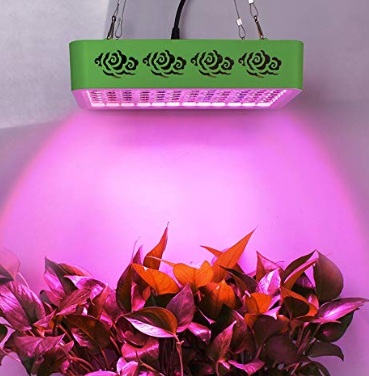 60°Reflector Cup & High-quality Plastic Case - This plant lights are well designed with 60 degree reflector cup to perfect reflect all dispersed light on plants, effectively reducing light loss. Perfect for a 2×2'' growing area at 24' height(Max coverage 3×3''). Flame-retardant plastic case, lighter and anti-leakage. 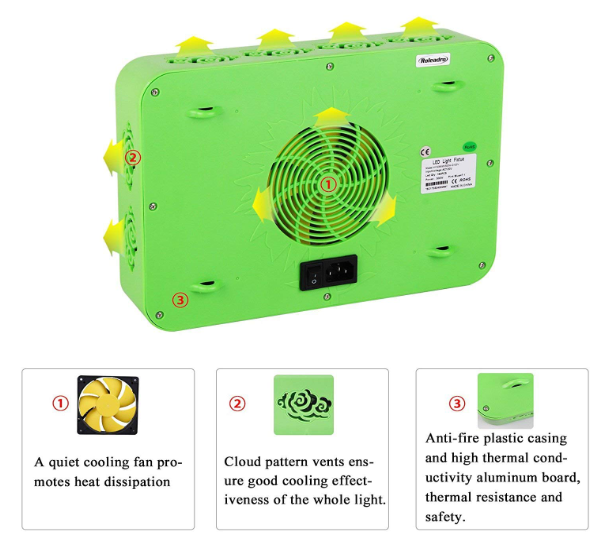 Efficient heat dissipation - Our plant grow light adopt a fast speed and quite cooling fans, revolutionary heat aluminum pcb and beautiful cloud pattern vents around four sides, which help lights dissipate heat effectively. 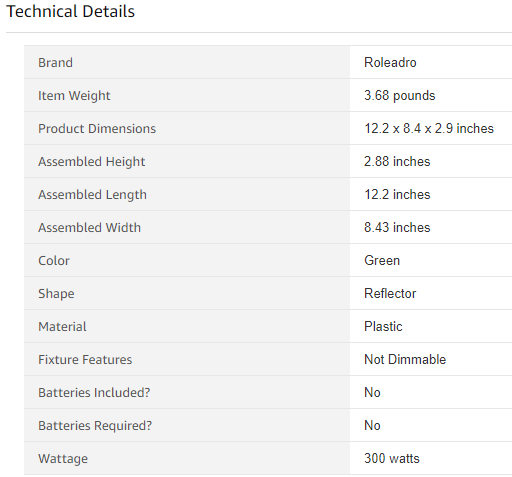 And it will not generate any noticeable heat even work 16 hours per day, runs 70% cooler than traditional HPS/MH. 100% Satisfied Sevice - 12 months warranty and 30 days money back, any problems, please email us, we always stand behind and assist you.